Steve Almond, author of " Bad Stories: What the Hell Just Happened to Our Country" speaks with SPR's Chris Maccini. 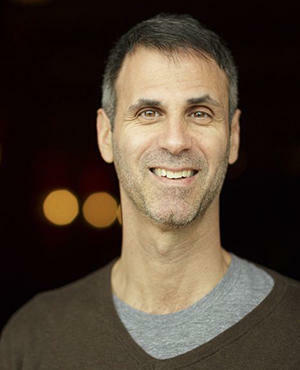 Steve Almond is the author of nine books of fiction and non-fiction including the New York Times best-sellers, Candyfreak and Against Football. He was also the host of the popular podcast Dear Sugars with fellow author Cheryl Strayed. Almond's latest book, Bad Stories: What the Hell just Happened to Our Country is an earnest and clear-headed attempt to make sense of the various cultural forces that led to the election of Donald Trump to the presidency of the United States. In it, Almond guides readers through an often difficult look at many of the assumptions that underpin our understanding of our country and society. Steve Almond was in Spokane on October 6th as part of Eastern Washington University's Visiting Writers program, and he took the time to speak with Spokane Public Radio's Chris Maccini.